With San Diego Comic-Con 2018 less than two weeks away, Marvel has announced most of its panels. This week it announced the Marvel comics panels. In addition to a slew of Marvel talent coming to the panels, it appears Editor-in-Chief C.B. Cebulski will be heavily featured during the convention. This will mark his first San Diego Comic-Con since taking over from Axel Alonso. You can also read our posts on the games and television panels. As previously announced, Marvel Studios will not be bringing any films to Hall H this year though Sony will be bringing Venom and Spider-Man: Into the Spiderverse. Editor-in-Chief C.B. Cebulski and Talent Scout Rickey Purdin join a multitude of Mighty Marvel Guests to take you behind-the-scenes and show you how a Marvel comic book is made! Learn about every aspect of production including writing, penciling, inking, coloring, lettering, editing, and more—with creators on hand to offer personal insights and anecdotes. If you’re interested in the ins-and-outs of the comic book industry, this is the one panel you can’t miss! Join Joe Quesada and fellow comics legend Jimmy Palmiotti as they reflect on the industry-redefining MARVEL KNIGHTS imprint as it celebrates its 20th anniversary. What was it like to pioneer this bold new storytelling style for Marvel’s heroes, and how has it impacted Marvel comics, movies, and television series over the last two decades? Learn about all this and more at this must-attend retrospective—and bring your own burning questions! Not to be missed by any fan of the Mighty Marvel Manner! Editor-in-Chief C.B. Cebulski and star Executive Editor Nick Lowe are joined by Donny Cates (COSMIC GHOST RIDER, DEATH OF THE INHUMANS) and Margaret Stohl (LIFE OF CAPTAIN MARVEL) to discuss the startling stories and initiatives that are truly the next big things in the Marvel Universe! In FANTASTIC FOUR, the Richards family is heading back to Earth, but they still have one more cosmic obstacle to overcome. Meanwhile, the specter of death hangs around the Inhumans and the Ghost Rider of a dark future in Donny Cates’ DEATH OF THE INHUMANS and COSMIC GHOST RIDER. And as the INFINITY WARS ignite, are any characters truly safe? All this, plus learn more about the definitive origin of Captain Marvel as Margaret Stohl opens up about LIFE OF CAPTAIN MARVEL! If you want to learn about the biggest Marvel stories of 2018, this is the panel not to miss! This is your chance to meet the new head of editorial at Marvel! In this exclusive one-on-one interview led by Skottie Young (DEADPOOL), freshly-minted Editor-in-Chief C.B. Cebulski will talk about anything and everything involved in what’s next for Marvel. Want to know where to search for the Infinity Stones? Dying to find out what’s next for Wolverine? What does Forbush Man really look like without his helmet? Ask C.B. these questions and more in the Q&A! Plus—don’t miss a surprise exclusive giveaway variant comic! Join Executive Editor Nick Lowe along with creators Ryan North (UNBEATABLE SQUIRREL GIRL), Robbie Thompson (SPIDER-MAN/DEADPOOL), and Jeremy Whitley (UNSTOPPABLE WASP) for a private panel discussion of what’s happening inside the Marvel Universe. Get free merchandise, never-before-seen sneak peeks of upcoming comics, Q&A session, and more! Not to be missed! Open only to Marvel Unlimited Plus members and Marvel MasterCard cardholders. Editor-in-Chief C.B. Cebulski, Sina Grace (ICEMAN), Seanan McGuire (X-MEN GOLD ANNUAL), Matthew Rosenberg (ASTONISHING X-MEN), and Tom Taylor (X-MEN RED) take you through the full spectrum of current X-Men madness! The Red, Blue, and Gold teams confront Atlanteans, uncertainty, and Extermination, and the secrets of a new X-team are revealed! Deadpool and X-23 both rediscover their roots, and the Astonishing team faces ever stranger challenges! Plus—stay for the whole panel for an exclusive giveaway variant comic! 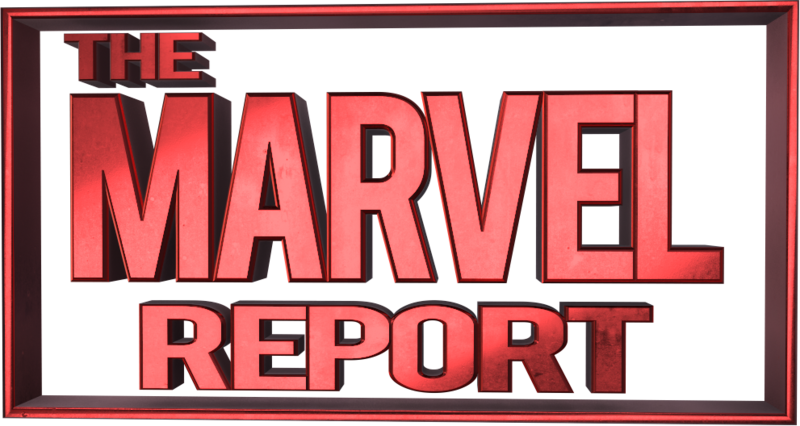 Stay tuned to The Marvel Report for more San Diego Comic-Con coverage.